The food you choose to fuel your running plays a significant role in performance. The body functions like a well-oiled engine when you choose foods that nourish and boost your energy levels. Problems occur, however, when you stuff it full of junk – from poor energy levels to dehydration, increased risk of injury, and illness. When planning what to eat in the lead up to a marathon, you need to consider foods that reduce inflammation and protect your joints, ensure your glycogen levels are stocked up so you have a reserve of energy to call upon during the event, and choose foods which boost your immune system so you don’t get ill during training. This is an important time to make sure you clear out any junk and introduce plenty of fruit and vegetables. 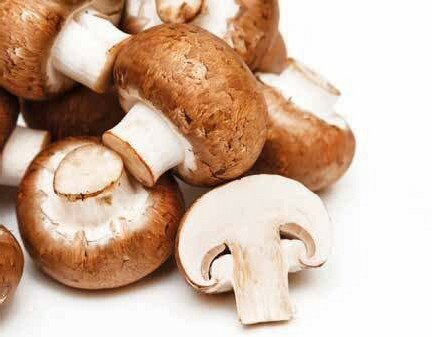 Generally speaking, the brighter the colour, the more nutrients a fruit or vegetable contains. I once had the pleasure of interviewing Usain Bolt. Amid all the joking and theatrics, I asked him what his nutrition secret was. Beckoning me to come closer, he looked me in the eye and said: “Fried chicken.” e fastest man in the world was fuelled by a well-known high street chain of fast food – one man’s fuel is another man’s poison. For most of us, this would be a recipe for disaster. At Men’s Running, we’ve never been evangelical about food but have consistently promoted a healthy eating plan to fuel better performances. is special issue tells you everything you need to know about food types, what to eat and when. We’ve also packed in some mouth-watering recipes so that you can get busy in the kitchen and amaze your friends and family with your culinary skills! Of course, ‘fuel’ doesn’t just mean food. In the last 15 years, sports nutritionists have been extolling the virtues of various products like creatine and whey protein, as well as various vitamins and minerals. We explain why and how you can use these products as part of a healthy diet. 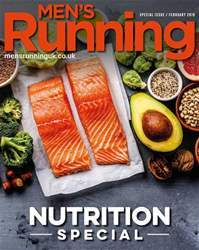 Enjoy this special issue and fuel your body to even better running in 2019! RYE ARE YOU DOING THIS?